This TENS device combines the ease of traditional knobs with the beauty of LED technology. they need to get the right therapy at the right time. Features five modes (Burst, Normal, Modulation (1), Modulation (2), and Strength-Duration) and a timer. 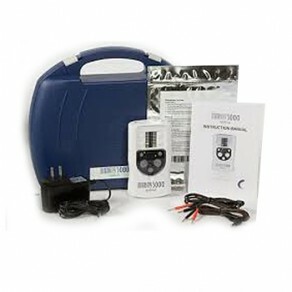 Comes in a nice hard case, four electrodes, user manual, two lead wires and 9-volt battery.